We will have a grand old time in the shop on Friday mornings! 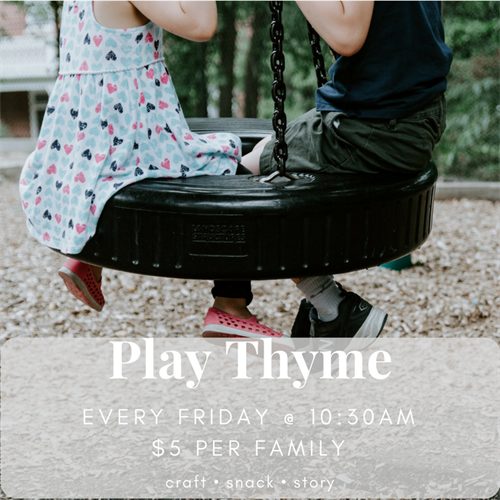 Activities will include craft time, snack creation in the kitchen, and we’ll round out the playdate with a story. Great for pre-schoolers and toddlers. Cost is $5 per family.